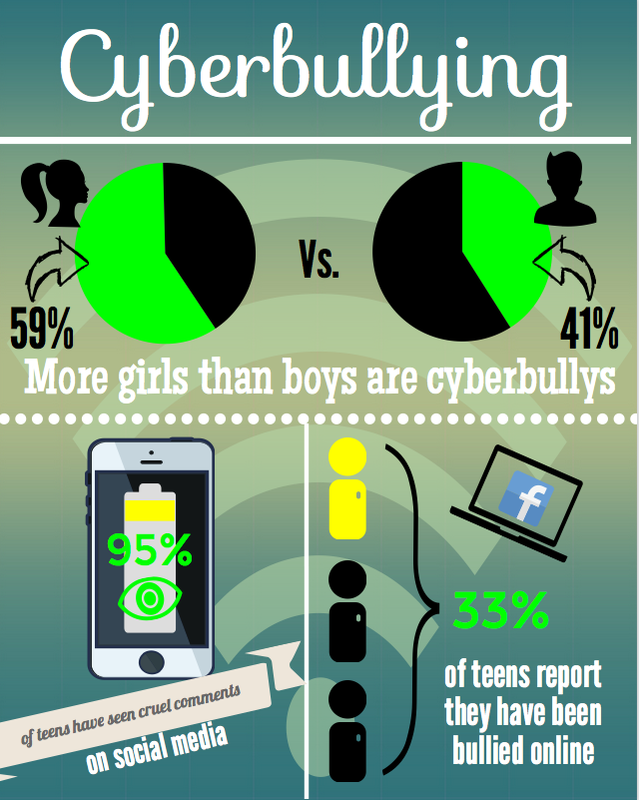 Class created infographic on Cyberbullying. 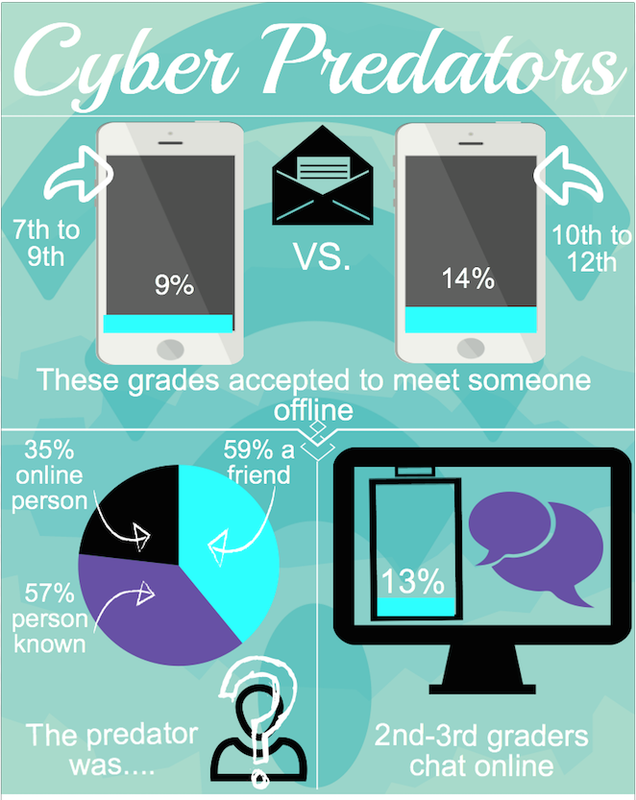 making the infographics, students are required to analyze the data and discover different ways of graphically representing that data. I discovered that the excitement of the project had students asking me how to turn a fraction into a percent and visa versa. Suddenly there was a reason to understand math concepts they have been taught but really never applied. Because I would not let them repeat a type of graph on the infographic, they had to come up with several alternative ways to show data. 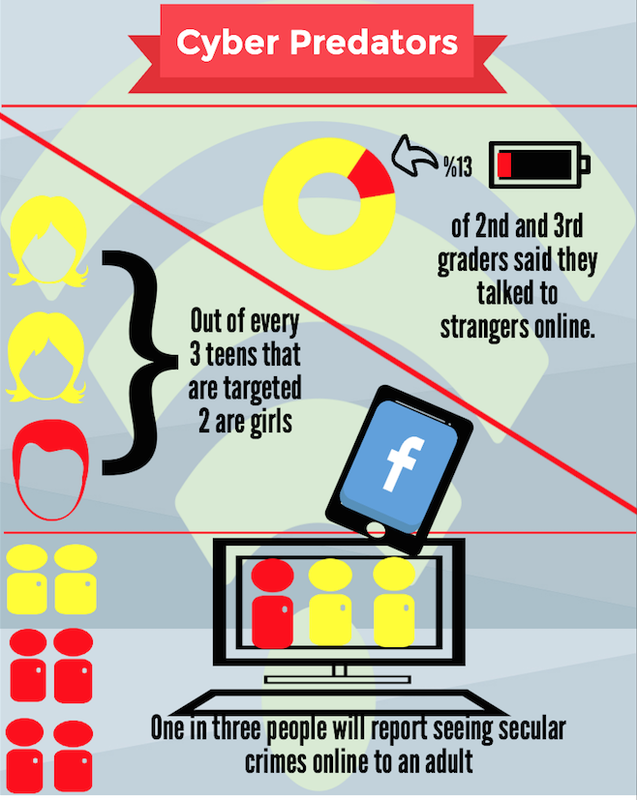 Start out by showing a YouTube movie on infographics and looking and analyzing several. Have the students divide graph paper into 4 parts. Explain that they are going to visually represent each of the data in each section of the paper. One section is for the title. Here is a sketch I made with the students on Cyberbullying. The student sketches match mine exactly. All students open an Infographic software program. I like Pictochart or Canva, but Google draw works well too. There are many tools you can use to create infographics. Demonstrate how to find graphics that match your sketch. All students create the same infographic with the teacher. At this point it is useful to show lots of samples. That process of guiding the students took 2-3 class periods but was well worth the extra effort. Provide students with a new data collection form. This time students choose their own topic. I find that providing students’ with a link to 1 or 2 sites with data related to the topic really makes a difference, rather than just letting them try to find it on their own. This streamlines the process since the goal is visualizing data, not research the internet for data. I also let them know that they should record the data first and THEN figure out the question. On graph paper, have the students sketch the page. Demonstrate several different ways they can divide the paper into four parts. Look again at samples on the web for ideas. ‹ High Tech Parent Night!